Two of my favorite ingredients in one delicious recipe make a lovely bake. I found this cake in an advertisement for olive oil in Food Network magazine (thanks Anna!) and felt sure it would be a winner. 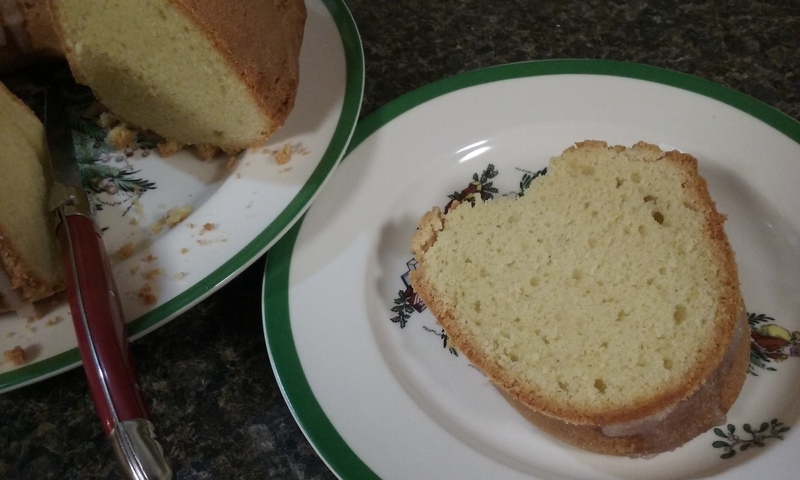 It turned out to be a moist cake with an even crumb and delightful crunchy crust. It is very similar to a pound cake, but without the dairy products. 1/2 cup unsweetened almond milk. 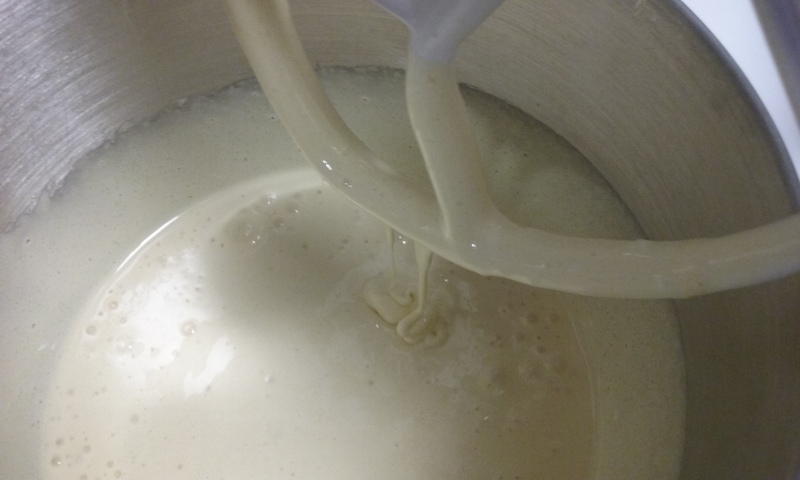 Combine the eggs and sugar and mix on medium- high speed until they become pale yellow, thick and creamy. This will take about 3 minutes. 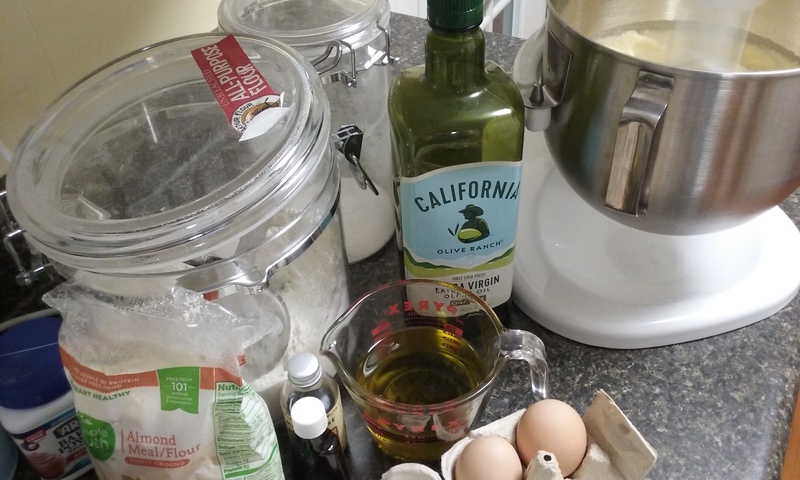 Reduce the mixer speed to medium and slowly add the olive oil in a stream. Add the almond and vanilla extracts. Reduce mixer speed to low. In a separate bowl, whisk together the flour, almond flour, baking powder and salt. This is important because almond flour tends to be lumpy. Alternately add this dry ingredient mixture and the almond milk half at a time. Do not over beat at this point – I finished incorporating the last addition by hand with a rubber spatula. Pour the batter into the prepared pan and bake until a toothpick inserted comes out clean. This will take 50 to 70 minutes. 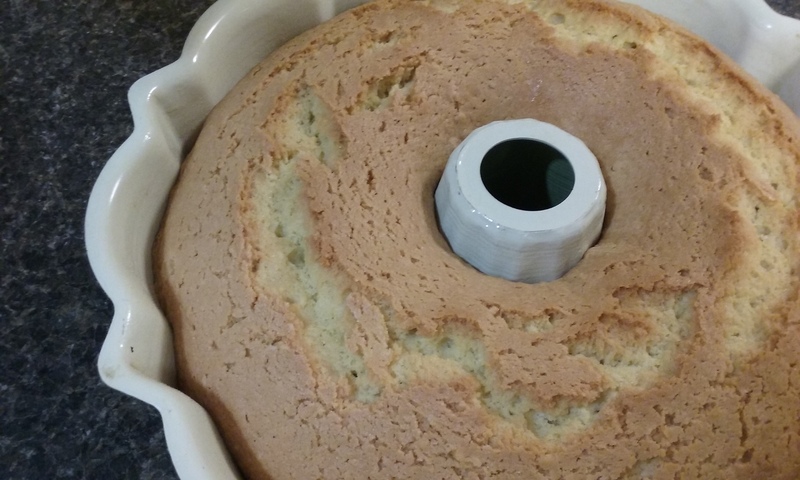 Let the cake cool in the pan for 15 minutes, then invert onto a cooling rack. You can add a glaze if you choose using 2 to 3 Tablespoons milk or citrus juice (I used lime juice) mixed with 2 cups confectioners sugar. Yum. This entry was posted in cake. Bookmark the permalink.